Photo courtesy of Turner Enterprises. 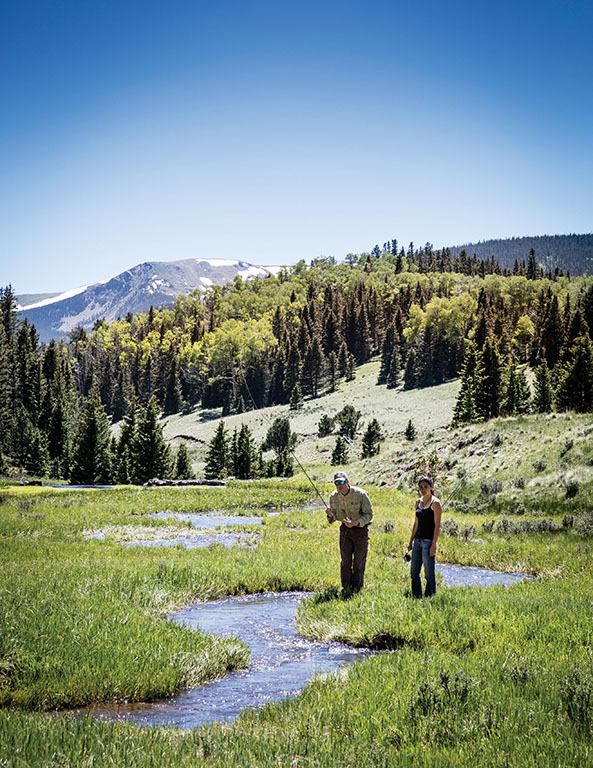 Ted Turner’s land stewardship is a fascinating fusion of ranching and conservation, pursuits that are often at odds. Photo by Jen Judge. It’s hard not be awed by the Ladder. 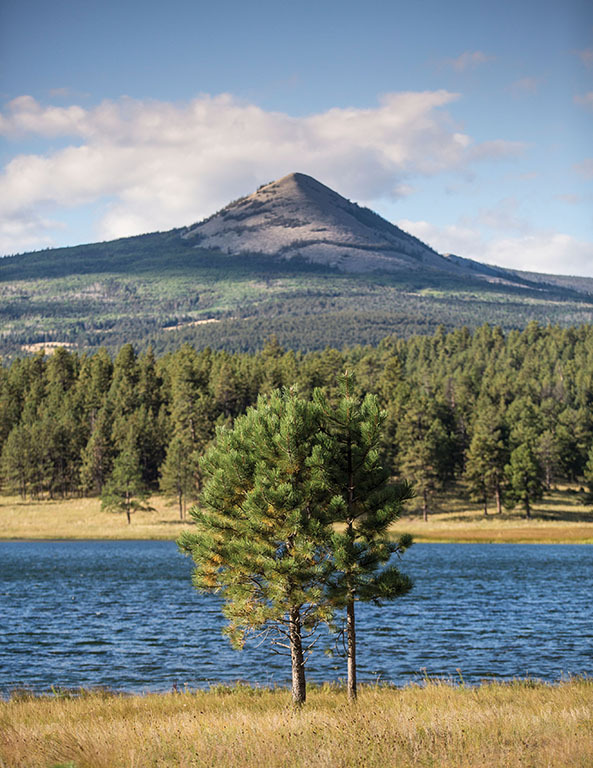 Rising from scorched chaparral west of the quirky town of Truth or Consequences and climbing through sandy arroyos and valleys into the ponderosa pines of the neighboring Gila Wilderness, the ranch is breathtaking for both the scale and pristine quality of its land. On Interstate 25, it takes nearly three-quarters of an hour to drive past the property, which, as I discover on my first morning stroll on the property, is loaded with deer, elk and other wildlife. Ted Turner’s year-old expedition company offers high-end ecotourism adventures on the billionaire’s three sprawling New Mexico ranches: Ladder, Armendaris and Vermejo Park, which has more elk and bison per capita than Yellowstone National Park. Photo by Jen Judge. 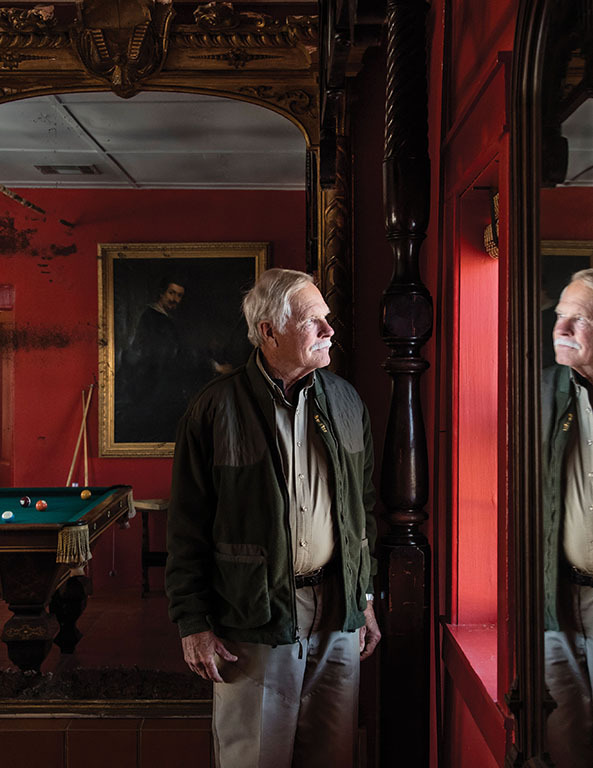 Ted Turner views bison as emblematic of the West and sees bringing them back as a return to the natural order. Photo by Jen Judge. In addition to the indigenous species, Ladder also has, courtesy of Turner, 1,300 bison. These animals, which hover genetically between cattle and African buffalo, are the signature of Turner’s properties. He says they are emblematic of the West and sees bringing them back as a return to the natural order. They are lighter on the land than cattle, require less tending and produce leaner, healthier meat. “When I was a boy, I read how we exterminated the bison down from 30 million when Columbus discovered America. I always thought if I could help bring ’em back, I would do it,” he says. “The main reason I bought so many places was to increase my herd.” Since he began the endeavor in 1976, the global population of bison has grown from 70,000 to half a million, 10 percent of which belong to Turner. 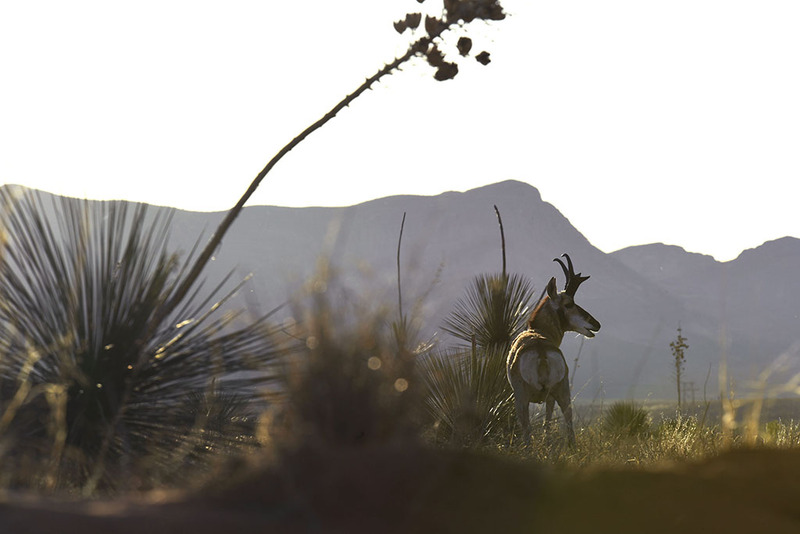 Turner’s land stewardship is a fascinating fusion of ranching and conservation, pursuits that are often at odds. 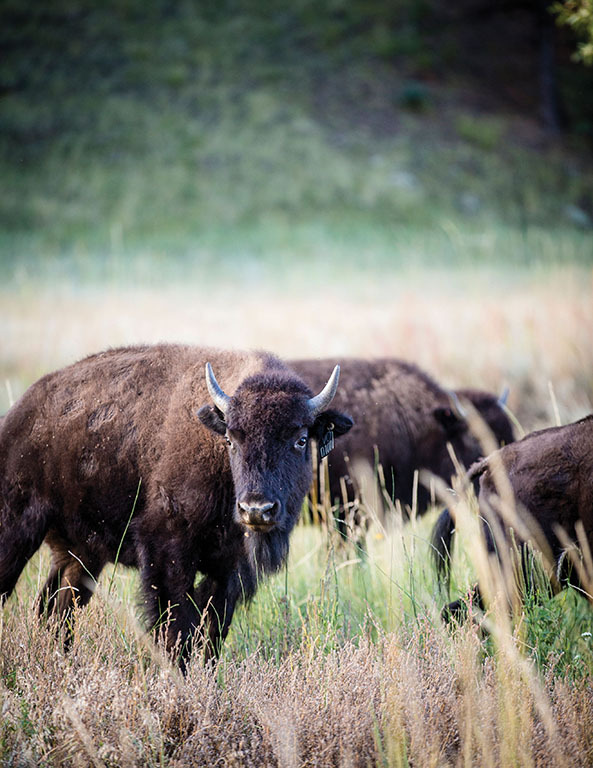 Not only has he spearheaded restoring the population of bison, which he musters on 15 of his properties in part to supply his Ted’s Montana Grill restaurant chain, he’s simultaneously rehabilitating endangered species on his lands. 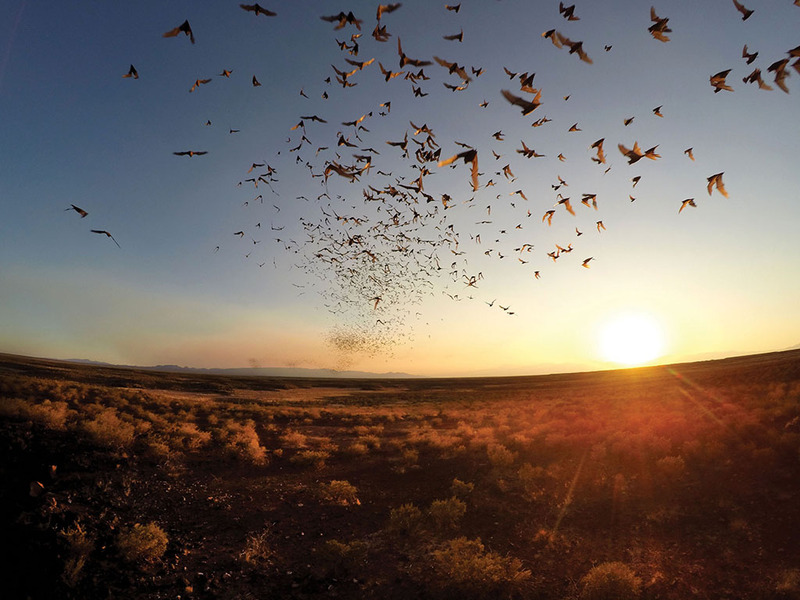 “Ted has demonstrated that you can be a rancher and still have wildlife in abundance. It’s an example to others,” says Dobrott. The Turner Endangered Species Fund (TESF) is the second-largest organization of its kind in the country after the U.S. Fish and Wildlife Service. It has worked to bolster Rio Grande cutthroat trout at Vermejo Park, desert bighorn sheep on the Armendaris, and Mexican gray wolves, Chiricahua leopard frogs and the Bolson tortoise on the Ladder Ranch. The Armendaris, which is a little bigger than the Ladder at nearly a quarter of a million acres, is the place Turner calls home when he visits southern New Mexico. 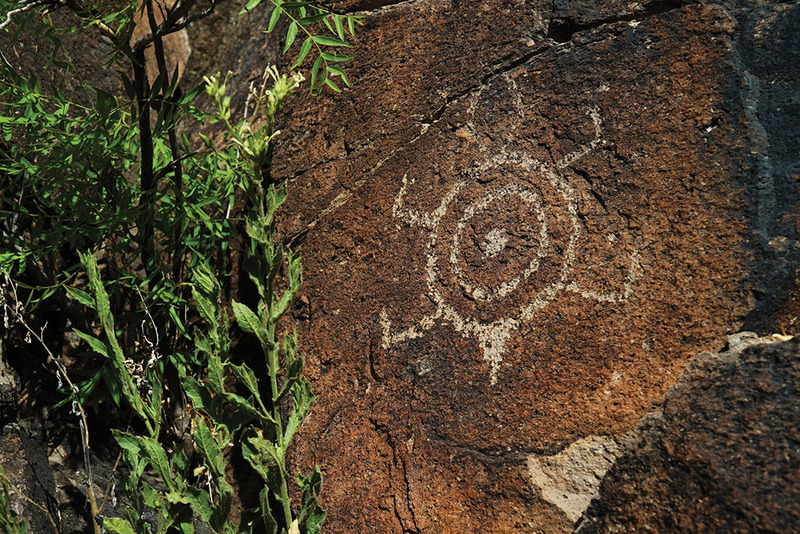 The historical cowboy bunkhouse where he lived during his visits up until 10 years ago is still there, but he now stays in a four-bedroom, Territorial-style hacienda that he built in the Chiricahuan grasslands, with soaring views up to the high peaks. The house, whose walls are hung with trophy deer and oryx, isn’t yet open to the public, but there’s a sense among staff that it’s only a matter of time. On our excursion on the ranch, which included a TTX hike up the limestone-girded Spellmeyer Canyon to inspect 300 million-year-old fossilized crinoids and shells, we saw several groups of deer and a herd of oryx, the lissome, mask-faced African antelope whose numbers have swelled from 93 in 1969 to more than 5,000 today. Like the bighorns, they have flourished on the Armendaris. Vermejo Park Ranch is bigger than Turner’s other New Mexico ranches, the Ladder and the Armendaris, combined. Photo by Kate Russell. As impressive as Turner’s two southern New Mexico ranches are, they pale next to Vermejo Park, a swath of Sangre de Cristo mountain range on the Colorado border that is bigger than the Ladder and the Armendaris combined. I visit the ranch in June, when Turner is on property for the reopening of Casa Grande, the meticulously renovated 1909 stone mansion that will serve as the centerpiece of TTX operations here. 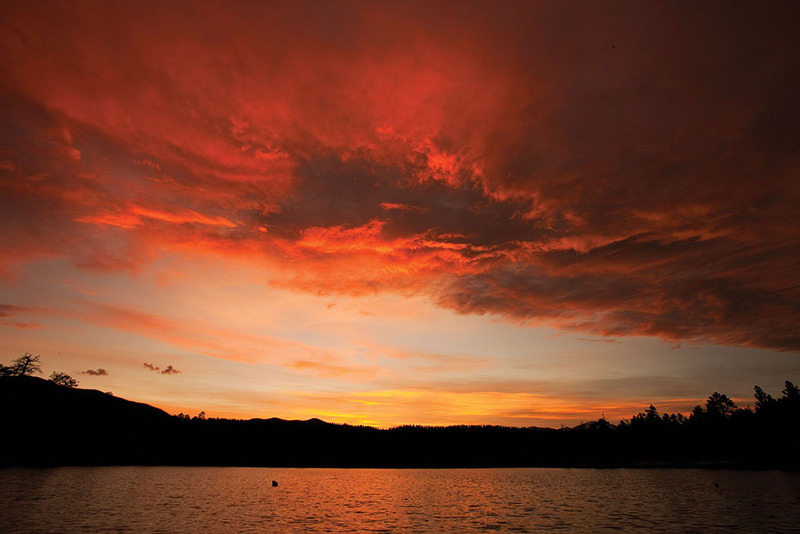 Out the door, there’s trail riding on horseback, hiking and summit-bagging in the surrounding 13,000-foot peaks, fly-fishing on 16 lakes and 30 miles of creeks, and, of course, wildlife viewing. The land is home to the mule deer, pronghorn antelope, bear, mountain lion, and more elk and bison per capita than Yellowstone. On one early morning driving tour of the property, the animals are so profuse and unafraid that more than once I have to stop the vehicle to allow elk to pass. Turner likes to tell how, after being caught and fined as a child for hunting squirrels on a neighbor’s land, he vowed to work hard and make money so he could one day have a place to go hunting and fishing. “And, by God, that’s what I did!” he always says at the end of the tale. That, of course, is not the end of the story. Lots of wealthy people buy land and keep it for their own personal use. Turner is unique because, through a canny combination of good business sense, personal responsibility and basic altruism, he is using his money for the greater good. Worth $2.2 billion according to Forbes, Turner has no need to start another business. So TTX is more than just a tour company on private wildlife sanctuaries. It’s an expression of the billionaire’s belief that not only can we all try to make the world a little better, we have a responsibility to do so. The next day, on a tour of Vermejo, we heave rainbow trout from Merrick Lake faster than we can string our lines, spot mule deer with racks so big they almost look prehistoric, and even run into a brown bear, which lolls in the shade for us as if on cue. Later, while walking in a silent aspen grove at the top of Leandro Creek, I discover a gleaming white elk shed, which feels like a secret present from the land. The guide says it’s mine to take home, but after admiring it, I place the slender antler back in the hip-high grass. I have a feeling that’s how Turner would want it.